Praise the sun! 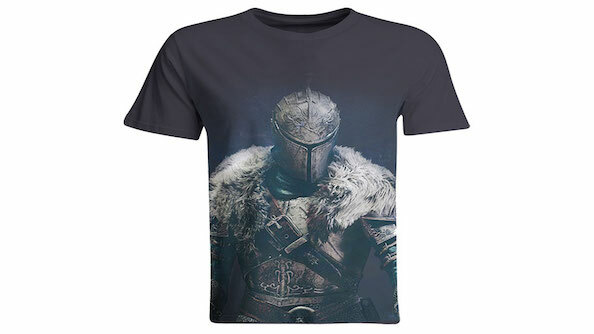 We’ve got some Dark Souls 3 merchandise to give away! The lovely chappies over at Numskull, the geeky clothing connoisseurs, have kindly provided us with some Dark Souls 3-themed merchandise, in the form of a shirt and snapback, to give away. While it sadly won’t increase your endurance, it will make you look snazzy while you play. You’re going to be dying a lot as you make your way through Lothric, so you might as well dazzle your enemies along the way with your style. For your chance at winning either a shirt or snapback, just complete an action in the widget below, and you’ll be entered into the giveaway. The more actions you complete in the widget, the more entries you’ll get into the giveaway, and the higher your chance of winning is. Please bear in mind that due to delivery limitations, this competition is only open to residents in the UK. We’ll also need your email address, but only as we will need to get in contact with you should you win so we can get a postal address, so we can deliver your goodies. If you fancy it, give us a Like over on the PCGamesN Facebook page, and we’ll keep you up to date on all our future giveaways.